Obituary for Elizabeth K. "Betty" Greenle | McElvarr Funeral Homes, Inc.
Betty was born in Philadelphia to the late Charles Mohollen and Ethel Allen Mohollen. She passed away Saturday at Pennsylvania Hospital. Betty attended Kensington High School and went on to work at Curtis Publishing, Keuffel and Esser Drafting Supplies and spent 20 years as an Appelate Clerk for the Superior Court of Pennsylvania. She enjoyed her role as mother to 5, nurturer to family, friends and grandchildren and was known for enjoying a healthy debate with all. She was an active member of St. Laurentius P.T.A and was a lector at Mass, and took piano and tap dancing classes in her later years. She is the beloved wife of the late George. Devoted mother of Mary Jane Dunfee (Bill), Kathleen Blum (Chris), Maureen Greenle (Meredith), Michael Greenle (Chad), Bridget Greenle-Mullins (Keith). Loving Grandmom of Christopher, Olivia, Megan, Dillon, Jake, Lily, Sara, and Margaret. Dear sister of William "Moe" and the late Mary, Florence, Bud, Louis, Ethel, and John. 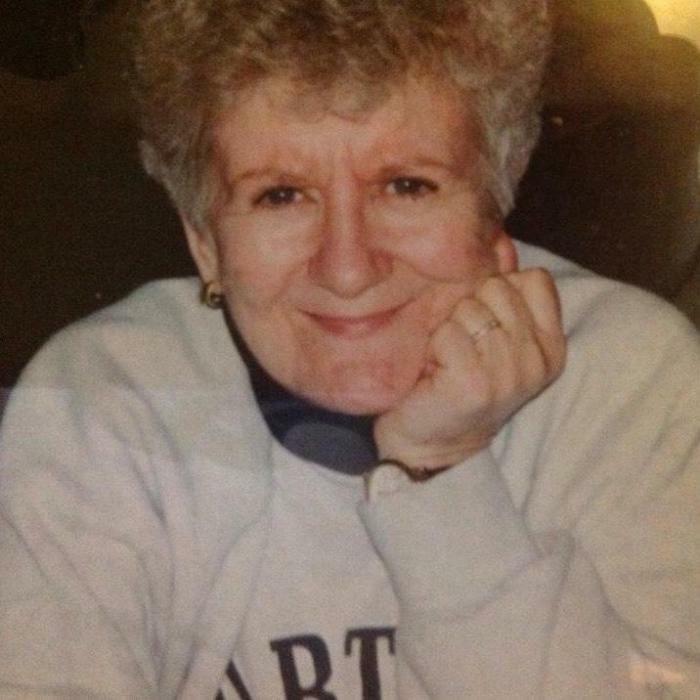 Relatives and friends are invited to her Funeral Mass Friday April 5, 2019 at 10:30am in Holy Name of Jesus Church. Friends may call Thursday Eve 7-9 PM and Friday after 9 AM at the McElvarr Funeral Home, 1415-17 East Susquehanna Avenue (Fishtown). Interment New Cathedral Cem.